Alternatively, there is the ‘Share to Social’ (S2S) link. While S2S is relatively new, a .5% CTR gives early reason to be optimistic according to a Silverpop study. The Silverpop Share-to-Social study also reported that S2S is likely to result in sharing of content with 150 to 200 people on average. In contrast, a “forward to a friend” link may reach an additional 1 to 2 people. Share to social use results in a 24% increase in reach on average. How does Share-To-Social (S2S) Work? S2S is a call to action such as ‘Share this Newsletter’ followed by graphical links to various social network or content sharing sites such as Facebook, LinkedIn, Twitter, StumbleUpon and so forth. all within the email message. Is the use of 4 or 5 networks the right number? If not, how many is? Be sure to do your homework and identify on which social sites your target audience is spending time. Of those, on which sites are they interacting or sharing content the most? Once you have this identified, don’t shut down the research. Continue to follow the target audiences to make sure they aren’t migrating to a new site leaving you unaware. Despite the growth, ‘sharing’ is still early among some audiences. Alongside the ‘share this’ buttons, consider adding a ‘what’s this’ button and give them instructions on how and why to use the feature. Encourage people to share. Placing the links on the page/email may not be enough. Just like with anything marketing, you need to include call to actions to get people interacting. Once you have integrated S2S, the next step is to identify high value sharers. Who are the ‘few’ people that often share your content and have a larger than average network? Where to put the links? Test different placement of the ‘share this’ links. Top, Middle, Bottom, Sidebar etc. At the very least, by moving it around you can avoid users getting used to seeing it and therefore ignoring it. What B2B emails are shareworthy? Articles and statistics. What’s not shareworthy? Long newsletters, negative news and highly personalized emails. At our agency TopRank, we’ve been implementing email marketing programs in conjunction with other online marketing and lead generation efforts including social media for 5 years. A good starting point to improving email effectiveness is to read some of the better email marketing tactics online and this recent post from WebProNews on why social media isn’t replacing email. 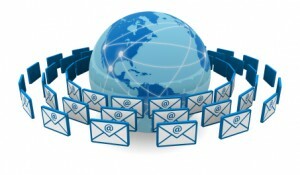 Are you implementing email marketing with social networking? (outside of the emails that occur within the social network) What have you found to be the best/worst practices? S2S is becoming increasingly important in any copy that a company puts before their customers. You were right on in talking about making your content sharable. If you must have a piece that is rather long, make sure to have a summery that then includes a link to your full copy. This is more likely to be shared and increase your click through rate. Great content Jolina. We are seeing some of the same things at StrongMail as we work with clients to Socialize email marketing. Here are some resources to help interested parties dig deeper into the opportunity! Is it better to make viral messages over social media or through e-mail? Can it be that newsletter is good spin off for starting viral campaign? This is a great post. I like the takeaways, and I love how you broke it down into a process. Determining the right networks is always what I tell my customers when they want to use my software. After they have their networks and know what they are doing, they need to make sure that their profile is set up to pull the visitors in. Besides that it's a matter of after they have added all of those friends from their niche, they need to make sure that they stay in contact with the people they get from it, and value them, and reward them and brag about them. The latter has been the most important factor in successful social networking campaigns so far. Insightful, informative and very timely. “Something that old people do,” eh? 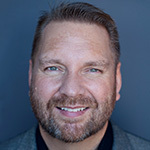 Thanks for emphasizing that creating an innovative mix of social media and email marketing can bring explosive results. Cool blog! I commented here before, its nice to know there are still some great posts out there. Thanks for the great info. Maggie, what kind of research? Industry & marketplace research or ongoing social media monitoring/brand monitoring? Interesting article with some good tips. Thanks. The call to action is the most important. Its amazing what people will do when you just ask them. I find this article very interesting. This can help me with my site. Thank you for sharing and giving me great ideas on how to use S2S. I think emails will be around for a long time very good read! I do not agree that email has one foot in the grave. If that was true, what does that say about me? However, I'm no old stick in the mud. I find the use of an S2S link to be a unique way of hitting target markets. Most people swim in the same pools even though that is even changing a bit. A blog article, etc. shared with an acquaintance to whatever degree is bonus exposure. I would guard against them being an annoyance and/or popping up everywhere. Here's an article about a study that finds Gen Y more reluctant to give up email (and text messaging) than social networks. I don't think email will die either, but it will evolve, as it is now, into something new, more like the sms marketing.